In case you have been incarcerated without access to media for the last three months, you might not know that the iPhone 3G releases worldwide today, with a whole host of major games publishers scrambling to bathe in Apple's rays of hype. Glu/SEGA's Super Monkey Ball is, unsurprisingly already top of the paid for iPhone applications chart in Apple's new App Store on iTunes. EA Mobile has also been quick to announce its lineup of launch titles for the Apple App Store, with the mobile gaming big hitter releasing three hugely popular casual titles from EA games. 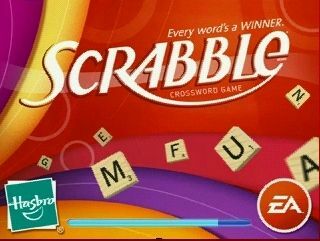 SCRABBLE (US and Canada only, for now we're afraid), Sudoku and Tetris are now available for the iPhone and iPod touch (remember that?). More excitingly we're reminded that a native version of Spore will be available to iPhone users in September when the game launches across all platforms. "The unique capabilities of the iPhone and iPod touch offer a new mobile gaming experience through the use of their touch screens, multiple sensors, and high definition graphics. "For the first time, the device itself actually becomes an essential part of the game, enhancing game playability like never before," gushes EA Mobile's iPhone gaming release in our inbox. "EA Mobile is thrilled to be developing games for mobile products as truly revolutionary as the iPhone and iPod touch," enthuses Travis Boatman, Vice President of Worldwide Studios, EA Mobile. "The innovative capabilities of these devices create a unique gaming experience that is very exciting and different from other platforms." The other major mobile game publishers PopCap, I-play, Glu and Gameloft have all released new iPhone games today. Glu Mobile has released Space Monkey for £5.99; Gameloft has released Diamond Twister, Platinum Solitaire, Platinum Sudoku, Bubble Bash (all £4.99), Brain Challenge and Chess & Backgammon Classics (both £5.99); I-play has released the puzzler Numba (£5.99) and PopCap has ported the popular Bejeweled 2 (£5.99). Finally, new kid on the block ZEN Studios has released the first pinball game for iPhone. ZEN Pinball: Rollercoaster does what it says on the can. Plus you can shake the table in anger by shaking the phone itself, kind of like in real life. ZEN Pinball: Rollercoaster only costs £2.99 and you can grab it from it's App Store page here. Stay tuned for more iPhone gaming news announcements throughout the day.